Discovering what Maui is all about often means putting on your hiking boots and getting up close and personal with the island’s birds, plants, mud, rocks, trees, streams and waterfalls. Why not see the best of the island with an educated guide who can enlighten you on the mysteries and magic of the island of Maui? HIKE MAUI and numerous other Hawai‘i adventure tours have been guiding travelers on wilderness excursions for many years. In fact, Hike Maui, a pioneer ECO-COMPANY, is staffed by a team of trained naturalists, and was founded by a man who lived in Maui’s jungle for a few years, studying the terrain, plants and creatures that inhabited it. Garnering National Geographic-recognized tours, Hike Maui offers a variety of HIKING-AND-ADVENTURE TOURS, including jaunts to hidden waterfalls, secluded rainforests and sites like Haleakala. A full-day trek, for example, could combine kayaking and snorkeling with a waterfall hike. Trained naturalists, each of whom is knowledgeable about Hawai‘i’s ecosystem, orchestrate all hikes. For another provider, SOUTH PACIFIC KAYAKS offers guided kayak trips and hiking excursions around the island. Destinations include Maui’s remote wilderness, a gushing waterfall, a historic bamboo forest and serene enclaves. However, if you prefer to soak in the scenery with a larger group, ROBERTS HAWAII travels its green buses between Haleakala, Lahaina and Hana. 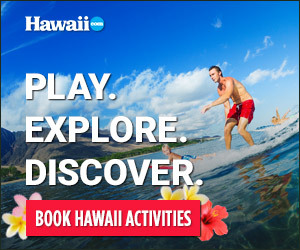 Visit robertshawaii.com for details. NOTE: Tours require advance reservations, and some include necessary equipment such as backpacks and raincoats. Consult with your guide or concierge before taking off, and ask the locals for the best tour offerings near you.